The following is a post that I had mostly done in August, but never got around to posting for some reason. So here is is now! step 2, laying down the grass. It was pretty straight forward, cover the plywood with white glue wherever I wanted grass to stick, then cover in the grass material. Step 3, Laying the track. Much like laying the grass. cover where you want to stick the track in white glue, and press on the track. 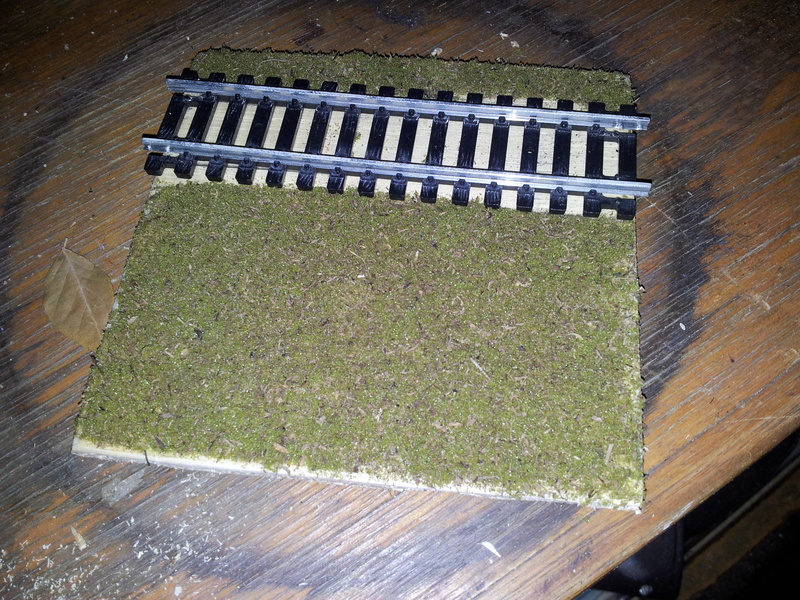 I’m not sure if this is how others attach track in full layouts, but it will work for this one I think. After the track is glued down, I clamped it down so the track is firmly on the baseboard. I guess this isn’t really possible on a large scale layout, but it worked for this mini layout. On a larger layout I guess I’d try to find heavy objects like books etc… to put on top. Then we have step 4, the ballast. I’m using some balast I bought at the model railway expo I went to over the weekend. The idea was simple, put the gravel on the layout where I wanted it, and cover the gravel with a watered down white glue mix. It worked, but I ended up with what I think is way too much glue on the track. You see, water surface tension meant the glue would sit on top of the ballast a bit, before it would soak in. That sucked, as it made it really hard to keep the glue where I wanted it. I ended up with glue up the inside of the track, and a little on top of the track too. Painful. I think I’ve heard of people watering down the whiteglue with methylated spirits instead of water. I guess that would make it dry quicker, and maybe reduce the surface tension issue. I might try that on another test layout. Gluing the ballast down. Lots of glue! It looks nice. Maybe a little trim, or paint around the edge, and I’ve got a nice little display piece for my train. Long before I took the step into model railways, I was inspired by Carl Arendt’s Small Layout Scrapbook, which is full of many model train layouts of small size. Unfortunately, last year Carl passed away, but his site lives on. Some other model train enthusiasts have taken on the operation of the site. Posts aren’t as regular now, but at least they can keep his site up to inspire others with the large back catalogue. The Small Layout Scrapbook has many layouts ranging from small to absolutely tiny. I think I took the most interest in the pizza layouts. A pizza layout is basically a small loop of track, which often resembles a the shape and size of a Pizza. The track loop done, with the only engine I have that will fit on it! Without a lot of room for a massive layout inside, I was inspired to try my hand at my own pizza layout. I figure it is a good size to get a feel for landscaping and building scenery, without too much lost if it falls in a pile. So, first step was to take a piece of flexi track and bend it in a complete loop. It seemed like it would be a quick and easy task, but it took me the best part of a night to get it to the point pictured above. 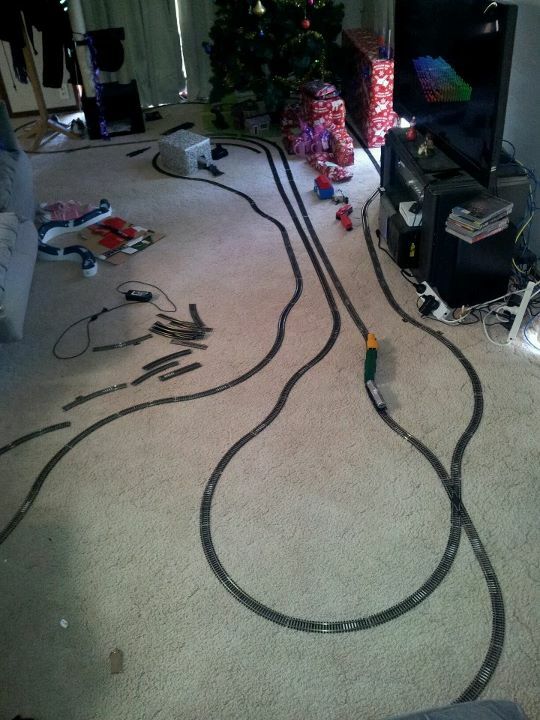 The track is OK, if you run the train in one direction, and derails if you drive it the other way. Hopefully a little tweaking will have the track running reliably in both directions. The next step will be to work out what I’m putting on the landscape, and start working on that. Stay tuned for future updates. 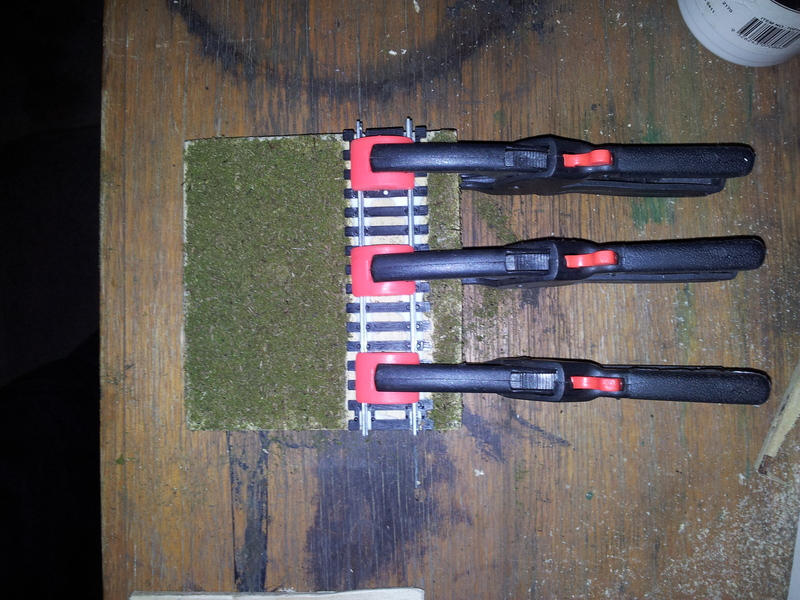 As you would realise from my previous posts, my model railroading has begun, in a small way. Well, before christmas, I was at tool / hobby store again . While I was there, I realised they were selling off some bits and pieces cheap, I mean real cheap. 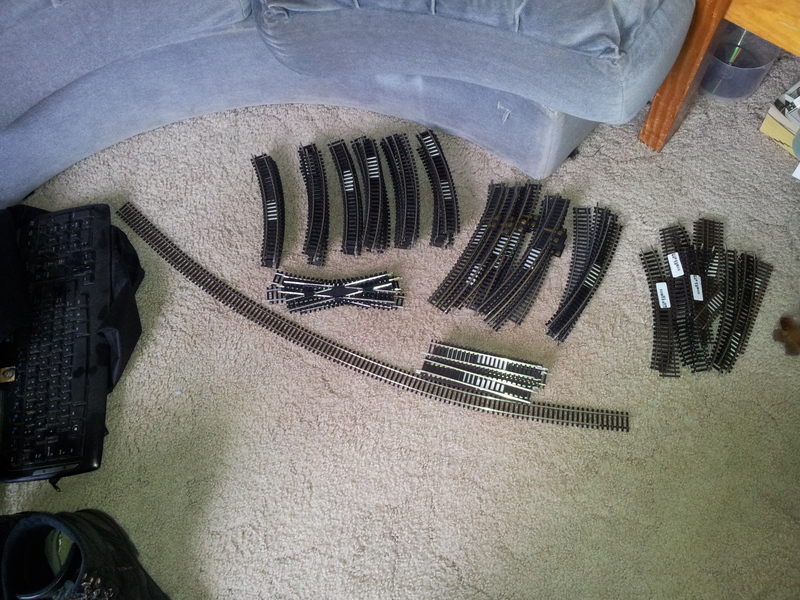 If you go by the price stickers on the track, I bought over $300 worth of train track ($2 a piece, for 150 pieces), and was charged $10 for that. It should have been $15, as they were supposed to be 10c each, but I wasn’t complaining. While I was there,I also picked up a length of flexi track to have a play around with. So, beginning that night, I spent the weekend progressively expanding my railway. 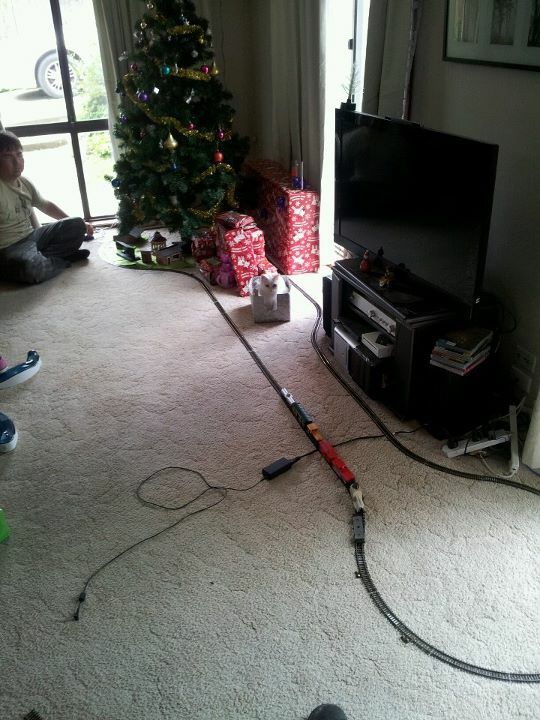 Beginning by expanding the loop around the tree to a long stretch past the front of the TV. Here we can see the expansion of the main line. Now stretching past the TV. It wasn't long before this wasn't far enough. And then expanding that back towards the tree in another long run. I also extended the other end out past the coat rack near our doorway. 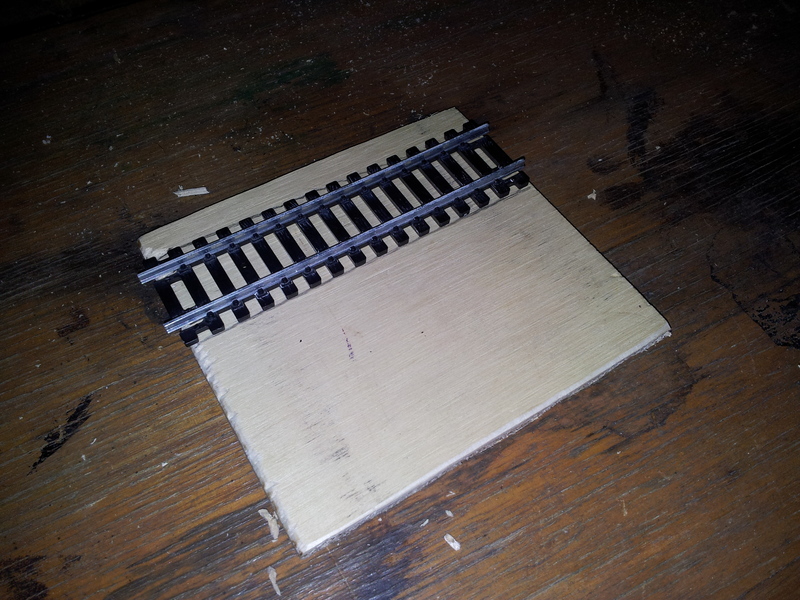 I was particularly chuffed when I managed to integrate one of the track crossing pieces, and it worked! Full size. This is as it stands at the peak of the layout. This train is a whole other ball game compared to the first one. Its quieter. it runs slower and a lot more realistically. It runs a bit better, due to the fact it picks up power from all wheels at once. It’s very nice! I thought I had enough track for a life time, but I was already wishing I bought more. I have enough to make a nice long single track, but what if I wanted to add a second track along side the first? the box of train track was taunting me. I needed more. I would never get another opportunity to get train track for so cheap. The thursday before christmas was payday, and eventually the hobby store got the better of me. I took the long way to work that morning and got another bunch of track. This time, there were less straight pieces (I got most of those last time), and same with the smaller radius curves. I got what I could find, which included a bunch of the larger radius curves, most with the power clips attached. When I got the new train engine, it hits the power clips, so I usually just pull them off. you don’t really need them on EVERY piece of track. The total haul. thats a lot of track! As pictured above, I have rather a large amount of track. Each stack of curves with rubber bands is a complete loop of track. there should be all up, about 300 pieces of track. 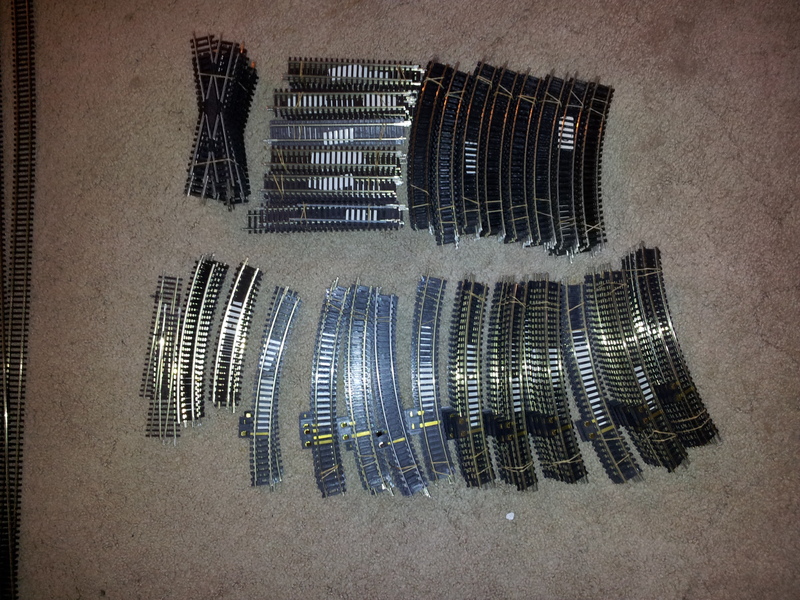 By my count, that’s about $600 worth of track if you take the sticker price of it, all for about $30. That is obscenely cheap! I’ve begun my small double loop for under the christmas tree next year! so look out for that in future updates. 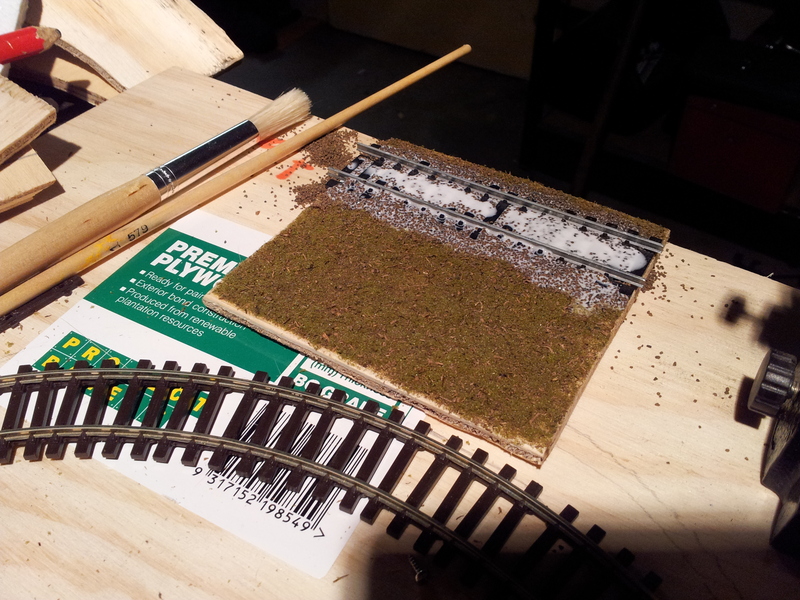 I have begun work on my very first permanent model train layout! This display is going to be a multi purpose layout. It is an evolution of the simple 2 loop layout I had running under the christmas tree. I’m planning for this to become a regular addition under the christmas tree. I also want the display to be usable throughout the year as a permanent display, as well as a test track for rolling stock and new and/or modified engines. Beginning as 2 1200x600mm sheets of MDF and some 1200mm sticks of timber, I went to quite a bit of effort to construct the interlocking frame. The base board is made in two halfs. I plan on the display being able to separate for storage and moving. One thing I discovered, is as the glue dried, it actually put a bow in the frames. I guess I should have clamped the sheets to the bench as they dried. I guess I’ll try that next time. The bow wasn’t too bad, and both sides seemed to bend similarly, so I was still good to continue. 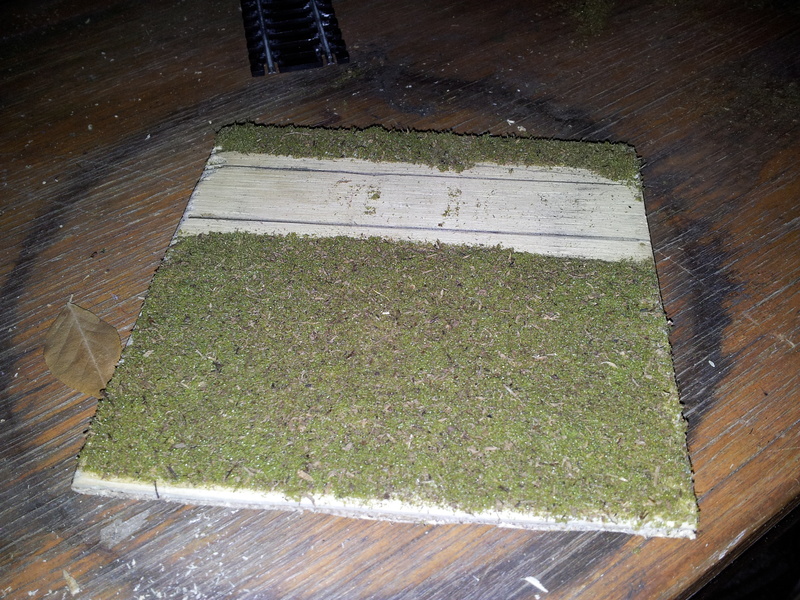 With the glue dried, now its time to begin setting things out how I want them. the only thing is, I’m still working out how I want them to be. The obvious one is two loops, around the middle. I guess its going to vaguely going to resemble that, no matter what I do, but I want to try to add something extra to the layout. turnouts? Sidings? It would be nice to put some in, but at $30 or more per set of points, I don’t think I’ll be able to put too many of those in. It would be nice to put some in so its possible to join the layout to an epic loop of track like I did for this christmas just gone. There are other methods of achieving this though, I may just leave enough room around the edges to lay an extra track thru the layout. That’s where I’m at so far. I still have much thinking to do, but I’m hoping to make progress on it soon. I’ll keep everyone updated. Here is a photo of my mum’s DuploLego pizza layout. You find layouts in the most unlikely places sometimes. Actually, It wasn’t too unexpected for me, as my mum has done similar in previous years. 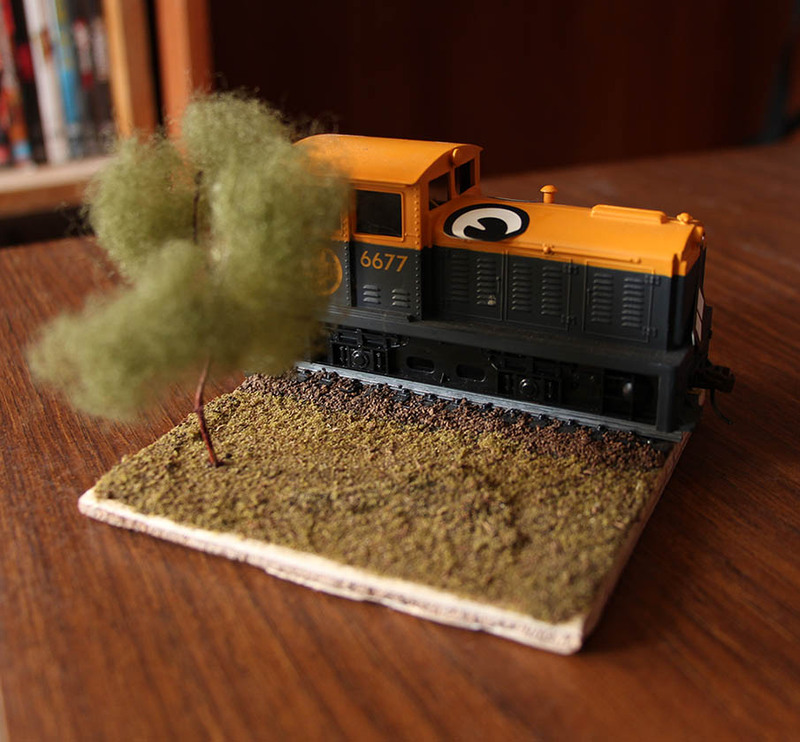 It seems to be a mining train operating in a bauble mine amongst a forest of trees. It must be hard work moving all those Christmas decorations! 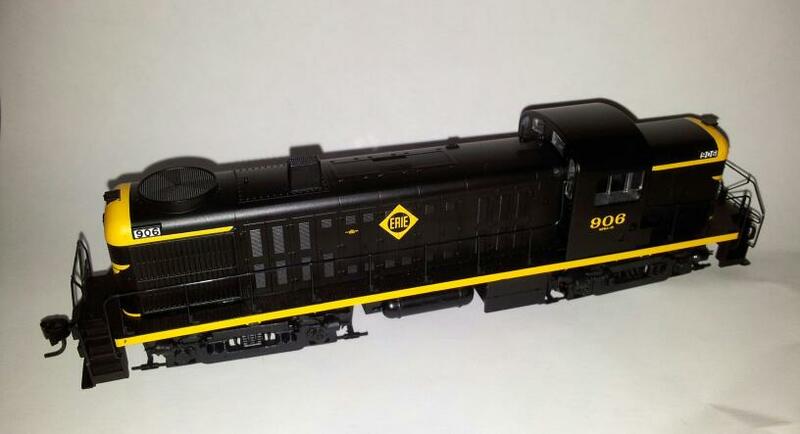 And the transition into model train nut continues…. 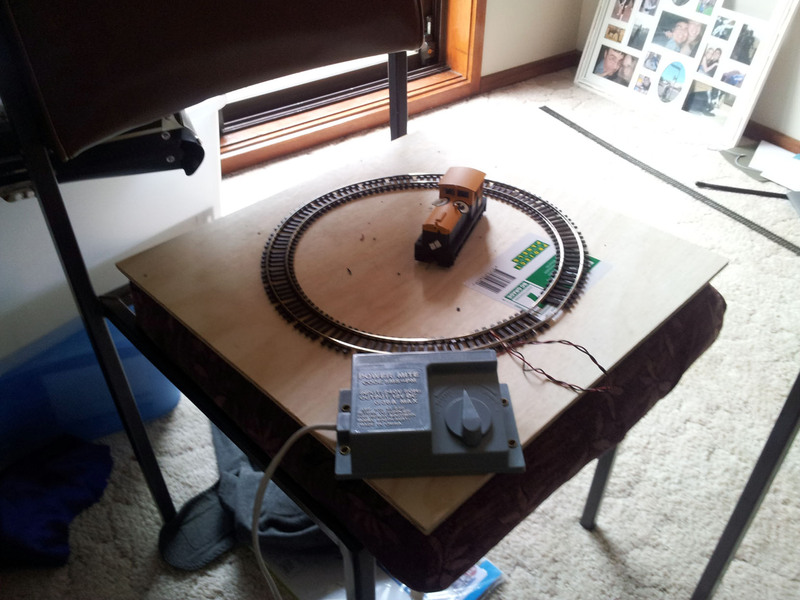 As you will already know if you’ve read my previous post, my journey in model railroading has begun with a simple loop under the Christmas tree. I seem to be undergoing a fast paced evolution of building modelling. Beginning with a quickly built house of Lego, and a tunnel of one half of a case of Pepsi, things are progressing from there. As an extra house, I drew windows and doors on a small cardboard box. It was very ugly, but evolved fast . I put a cardboard roof on it and painted it with acrylic artists paint. It looked better, but still looked kinda crappy. 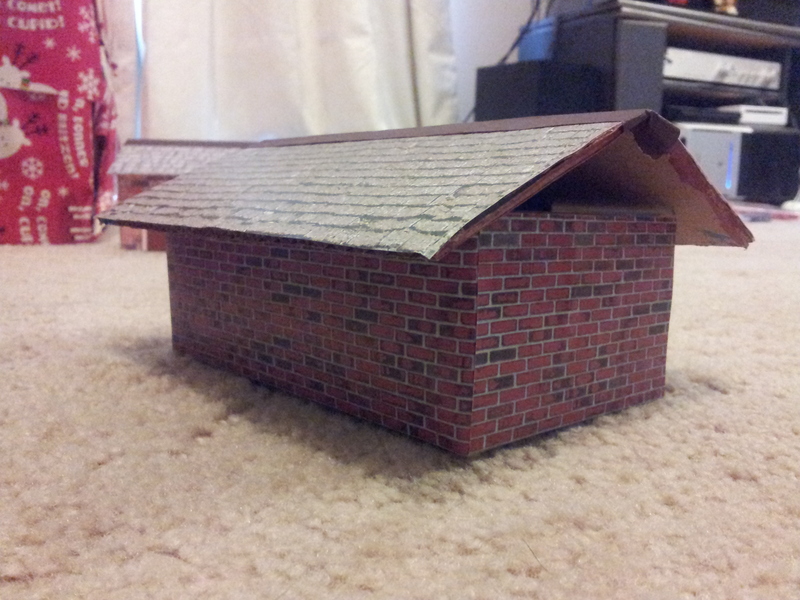 Then I built a train platform with found balsa wood and cardboard , and painted it too. Its ok, but lacks realism and details. After building this house with printed textures I went back to my painted house, and applied textures to it aswell. Much better. It’s amazing how much better it looks when done like this. There are still ways to improve the houses, but this is a journey of many steps. 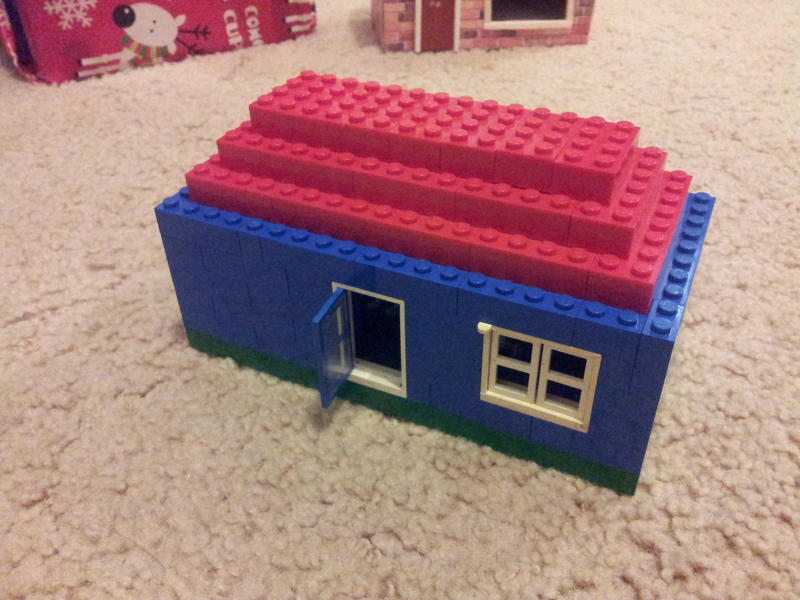 I’m yet to add doors and windows to this house, so it’s currently a room with no doors. 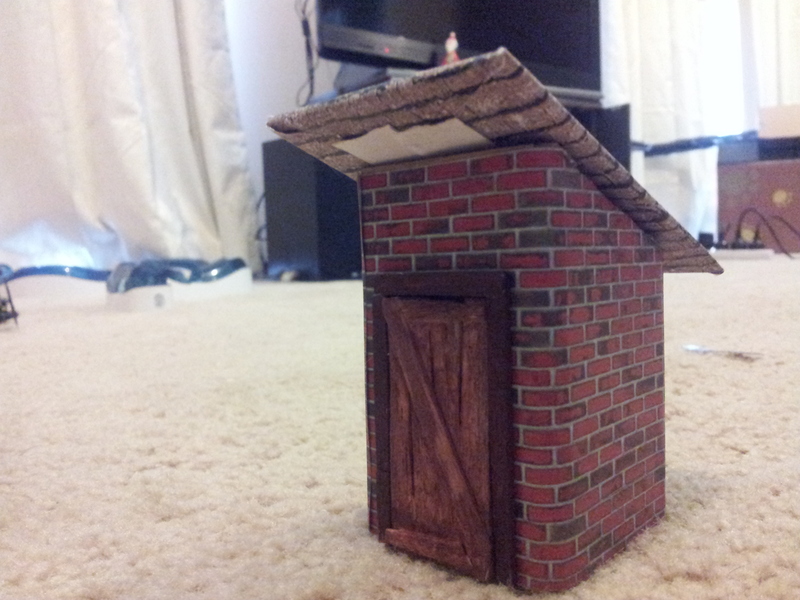 And finally there is the little outhouse I’ve made. Same method as the other houses, but with a painted balsa wood door. I think it turned out pretty well. I should have covered the white paper up a bit better though. And thats it for this installment. I’ve now officially made the dive into the hobby of model railroading! I’m going to justify model railroading by stating that it’s not actually me taking up a new hobby, but its me merely expanding my interest in modeling from making 1:24 scale cars, to also modelling trains. 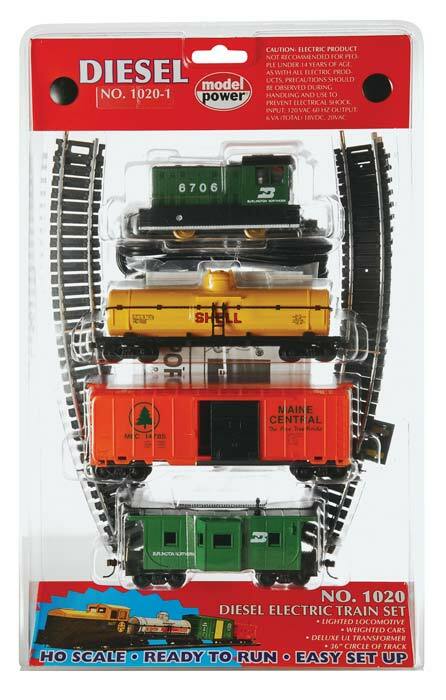 Starting off small (and cheap) I found a Model Power train set which was on special at a local hobby store for $60. This is the train set I'm starting with. Mine is painted a little different. At the same time, I bought several $1 carriages which they were selling off. I figured they would be pretty crappy, but for $3, I got some extra rolling stock to play with. So, I’ve got a whole set with controller, engine, track and rolling stock. I didnt’ know what to expect with the set. Not being any of the better known brands, it might be rough, it might be noisy, it might continually derail. Inspecting the carriages and the engine, I was happy with my purchase. This set, after all set me back $60. You don’t have to look far to spend more than that on a single engine, or even a single carriage of high quality. I actually like the little diesel shunter the kit came with, and the carriages aren’t too bad, for me to get started on at least. As it was so close to christmas, my plan is to build a christmas train under the christmas tree. Possibly before I had even left the store, I had a cool idea. What I want to do is repaint / decal the carriages, with a personalised carriage for each member of our family, adding carriages as new additions come along. 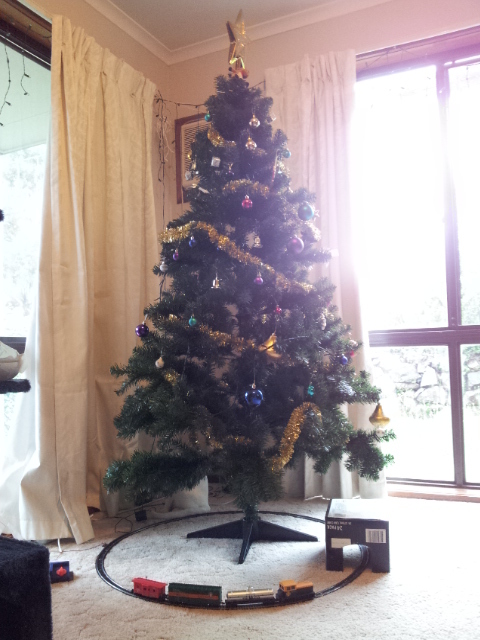 The tree looks a little sparse, but it has a train, with a Pepsi max tunnel! Yea!!! I’ve already started mocking up some pictures for the side of the trains on the computer. Printing them out, and sticking them on the side of the carriages. below you can see the demo carriage I have made for our dog Bella. 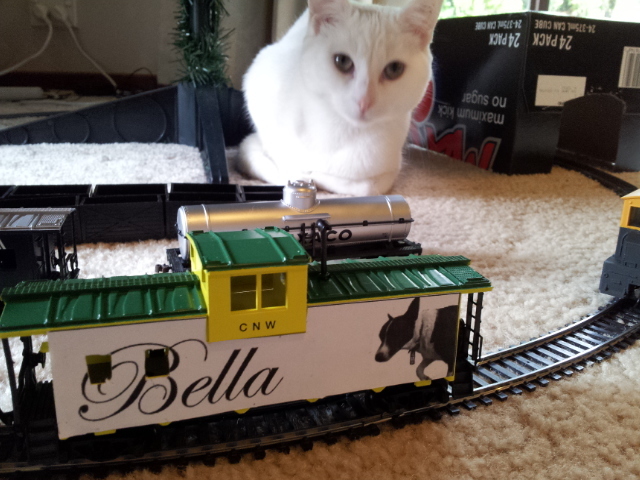 Dizzy, the pictured cat, will also get a carriage soon too, as will my wife and I. I will need time to plan and paint though! I’m already planning on repainting the carriages so they look great, and integrate the pictures in as much as possible. For the time being, I’ll keep using the cheap carriages, as that’s what I’ve got. Maybe by next christmas I’ll be able to upgrade the $1 cars to ones which run a little nicer.